Miso paste or miso is a brown paste made from fermented soybeans. Like cheese, a culture of bacteria or fungi is introduced into fermented soybeans to create this delicacy. What Is Miso Paste and How Is It Used? Miso originated in China sometime around the 3rd century B.C. Like tofu, food historians think that miso migrated from China to Japan when the Buddhist religion spread into Japan. Buddhism advocates a vegan or vegetarian diet, and scholars believe that the early monks brought their foods and food preparation techniques into Japan and taught their followers how to make vegetarian delicacies like tofu and miso paste. While most miso paste is made from soybeans, other vegetable starters can be used, including barley and rice. This makes it great for vegetarians. Typically you grind and ferment grains and add salt and a fungus called kojikin to give miso its unique taste and texture. During the fermenting process, the separate flavors of the ingredients develop to create a complex and distinctive flavor. The flavor of miso is typically salty mixed with a slight sweetness. The flavor and texture of miso varies from batch to batch. Different manufacturers also have slightly different recipes or procedures, and this means that the flavor of miso can vary amongst brands. For many people, this is one of the joys of the product. Miso varieties are often regional specialties in Japan, with regions taking great pride in their unique miso flavors and colors. Miso generally ranges from white to black, with all shades of brown and red in between. Store miso paste in its original container in the refrigerator once it's opened. You can keep unopened miso paste containers in the pantry for several weeks, but once opened, be sure to keep it well chilled and sealed so that it doesn't dry out. The traditional way of using miso is as a soup. A spoonful of miso is simply mixed with hot water to produce a fragrant and subtle soup. This is an extremely quick and nutritious dish. You can create more elaborate soups by using a mix of vegetables, rice, and miso. This makes for a more substantial soup that can provide a warming and satisfying main course. The Japanese appreciate five tastes as compared to the Western world's four tastes. Western chefs refer to tastes such as sweet, sour, salty and bitter when cooking. They may add spices, vinegar, salt or sugar to enhance particular attributes or downplay others. The Japanese on the other hand include a fifth taste called umami. When Japanese chefs prepare dishes, they seek to include the essence of umami. Umami may be defined as fullness, a mouth-watering attribute from the complex layering of foods. Some people describe umami as a meaty taste, but it's more than taste. It's more of a feeling from a food, a richness and fulfillment created by chemicals called unbound glutamates that tease specific taste receptors in the mouth. 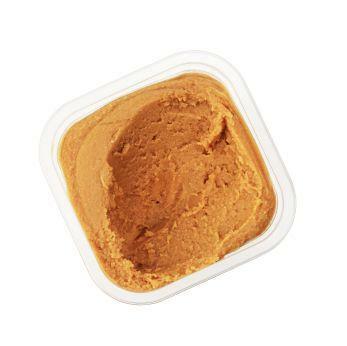 Miso paste is a natural flavor enhancer and provides terrific umami for the taste buds. Miso is a nutritious and easy way to add some flavor to your meals. If you're looking for a way to add depth without added chemicals or salts, try giving miso a try.